Many people still want the casino experience, but for many different reasons they don’t want to take a taxi or a train to go to a real-life casino. There are more and more reasons why online casinos are becoming more popular than real life ones. Some people just don’t have a casino near enough to them and they don’t want to travel – why spend money on a bus when you can be spending that money at the slot machines for a decent chance to win the jackpot? Other people find casinos too busy and would rather gamble in the comfort of their homes without having to deal with other noisy gamblers who are competing for the same jackpot. Online playing is perfect for people like this. But here it can be hard to find the casino that suits your needs and offers you the gambling experience you have been looking for. You should check out CasinoReviews.my for the best and most reliable casino reviews you’ll find anywhere on the internet. We’ll tell you more about each casino and what games they offer, and we’ll even tell you how easy their site is to use so you have the best information possible before picking your casino. NewCity8 is also known as NCity8, so don’t worry if you see either names displayed in your browser: They are both still the same site. On the home-page you’ll find all of their announcements about the casino on a scrolling banner, including the fact that their direct contact Whatsapp number has changed – so keep an eye on this for important information. You can find all of the games they offer displayed on their menu at the top of the site, so everything is easy to find. They offer many sign up bonuses for new users, too, so that’s another reason to consider checking this one out. They offer many promotions for those who are about to sign up and those who are already playing, you can find this on their menu at the top. As far as the games they offer, NewCity8 also happens to offer players a decent sportsbook, a live casino which gives you the options you would expect from walking into a casino or signing up to an online one, slots games and a lottery – if you prefer testing the odds there instead. 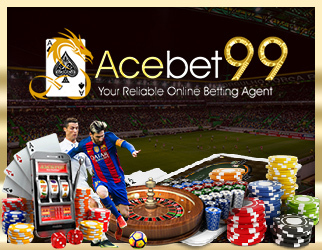 The site functions well, and you might find the home page a little bit empty – there are no banners even from the casino itself. But this might also be a good thing for some people who find traditional online casino websites a little too flashy for their liking. They offer the option of twenty four hour customer service, which we especially like – you can get in touch with them immediately should you have any issues with your gambling experience.